Love Marmite? Then you’ll probably be pleased to hear that a new study suggests spreading this yeast extract on your toast could be good for your brain. 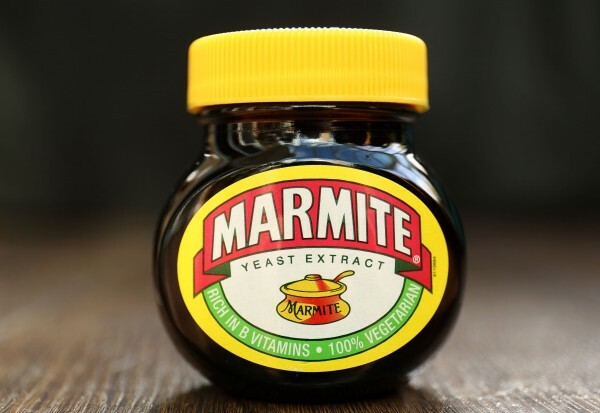 Researchers at the University of York say they have identified a potential link between consuming Marmite and the apparent increase of gamma-amino butyric acid (GABA) – a chemical messenger associated with healthy brain function. They believe this is because Marmite is rich in vitamin B12, which encourages the body to produce the neurotransmitter that “regulates the delicate balance of activity needed to maintain a healthy brain”. Study author Dr Daniel Baker, from the university’s department of psychology, said: “Marmite contains several substances associated with the production of GABA, an important neurotransmitter. Researchers tested 28 healthy volunteers, half of which were assigned to the active Marmite group while the rest were placed in a control group who consumed peanut butter. They measured each participants’ response to visual stimuli and recorded electrical activity in the brain using electroencephalography (EEG). Those who ate a teaspoon of Marmite every day for a month showed a 30% decrease in their brain’s response to visual patterns. GABA functions as an inhibitory neurotransmitter, sending chemical messages through the brain and the nervous system while blocking nerve impulses. Its role is to reduce the excitability of the neurons or nerve cells and help maintain a healthy brain. Researchers say the study raises awareness of how diet can affect neural function while adding further analysis needs to be done to determine whether this technique could be used in medical applications.